DoonCabs is Best and Reliable Taxi Service for Dehradun to Paonta Sahib, Taxi from Dehradun Airport to Paonga Sahib, Dehradun to Nahan Taxi and Dehradun to Vikasnagar Taxi Service. 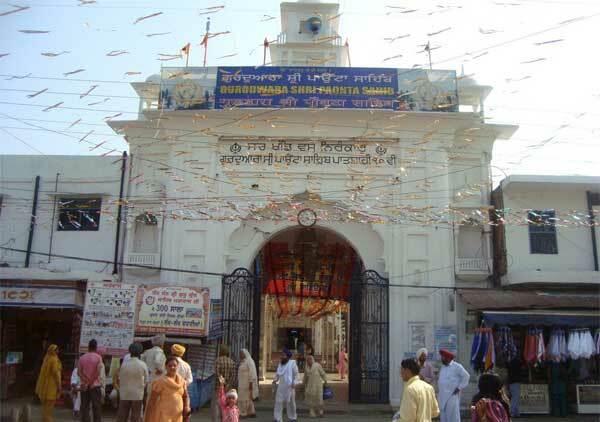 Taxi from Dehradun to Paonta Sahib available for One Way and Round Trip. Book Dehradun to Paonta Sahib Taxi via Android Mobile App or Book Your Taxi from Dehradun to Paonta Sahib at Customer Care Number +91-88581-88581. We provide Taxi Cab Service from Dehradun to Paonta Sahib, Dehradun Airport to Paonta Sahib Taxi, One Way and Round Trip Taxi Service from Dehradun to Paonta Sahib Cabs can be booked online using credit, debit cards and net banking.